"In Christ, called to witness"
Participants: Delegates from 122 Lutheran member churches from over 70 countries attended. Highlights: One week after the territory’s transfer of sovereignty by British authorities back to Chinese rule, the first Lutheran global meeting in Asia focused celebrating the LWF’s 50th anniversary. For the first time, close to half the delegates were women. The Assembly reaffirmed commitment to women’s ordination but acknowledged member churches’ varying views on the practice by urging reflection and dialogue. 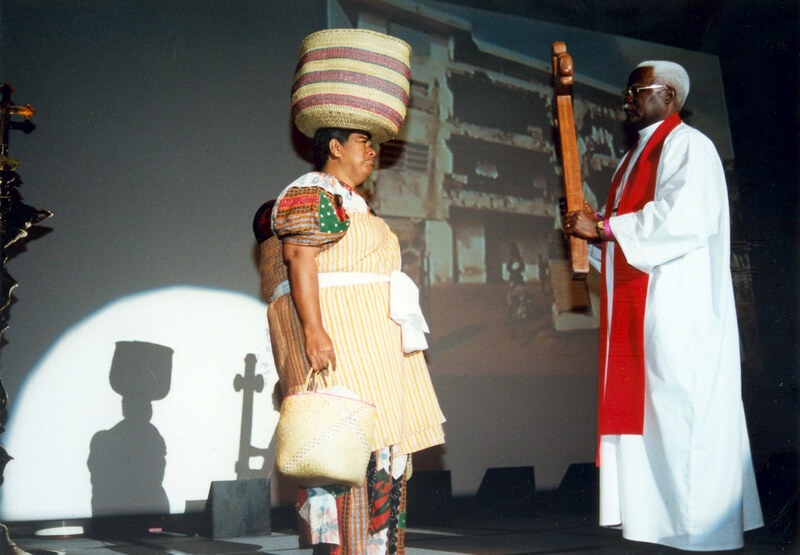 Daily Bible study allowed delegates to experience the cultural diversity and flavour of the Lutheran Communion. It set a process in motion for the acceptance by member churches of the joint Declaration on the Doctrine of Justification between the LWF and the Roman Catholic Church. The presence of ecumenical guests was an affirmation of the LWF as a part of the universal church. Bishop Christian Krause was elected LWF President while Rev. Dr Ishmael Noko became LWF General Secretary. Prof Choong Chee Pang delivered the keynote address. Focus was on the Lutheran Communion witnessing to Christian Unity, the Joint Declaration on the Doctrine of Justification, Towards a Just Society, Mission and dialogue, witnessing in a multi-faith and multicultural setting, the LWF 2000 and beyond, as well as an open hearing on China.